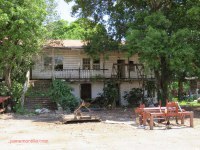 The Florida sugar mill is not to be confused with the Hacienda Florida located in Yauco. ​The origin of this sugar, mill which has been reported in error as never in operation, dates back to ca. 1863 when it was established by the firm Valdivieso Hnos. Hacienda Florida was acquired in 1898 by brothers Enrique and Carlos Cabrera Martinez from the Valdivieso family. 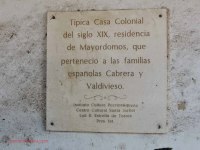 Later on, the hacienda was owned exclusively by Carlos Cabrera Martinez who moved to Paris with his wife Francisca Paz Vall, where he died. The hacienda was inherited by Carlos sons Adolfo and Carlos Cabrera Paz. The two brothers married two sisters; Carlos, who was previously married to Norberta Cuesta Haro married Carolina Benvenutti Ducler (who had a previous marriage to Eugenio de Anca) and Adolfo married Margarita Benvenutti Ducler. The Cabrera's always had the desire to have their own sugar mill. When the South Porto Rico Sugar Company established The Guanica Centrale , there were plans to establish a second sugar mill in Santa Isabel where the Cabrera's figured prominently. However, this plan never materialized and eventually, in 1909, the South Porto Rico Sugar Co. acquired the nearby Central Fortuna . 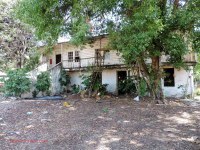 Because the plan with the South Porto Rico Sugar Co. did not materialize, in 1902 the Cabrera's entered into a "colono" or sugar planter agreement with Central Aguirre to process sugarcane grown on the lands of Hacienda Florida. Despite the "colono" agreement, in 1907 Carlos Cabrera Paz, then 3rd generation owner of Florida, started the construction of a Central sugar mill with borrowed money from Guillermo Cortada, Carlos Armstrong Toro, Fritz, Lundt & Co., Eduardo Georgetti, Manuel Gonzalez Martinez, Rafael Fabián Fabián, Juan Carlos McCormick Hartman and Ramon Aboy Benitez. Due to the "colono" agreement, Aguirre brought a lawsuit and in 1910 acquired Central Florida. It is a vast missconception that Central Florida never operated although that might was the case under the Cabrera ownership. The May 27, 1911 edition of The Louisiana Planter and Sugar Manufacturer reports: "Mr. John H. Hafemeyer, the affable and popular sugar maker is back in New Orleans, having completed the crop at the Florida Centrale in Porto Rico, whither (sic) he went several months ago. Mr. Hafemeyer reports that the campaign at Florida was curtailed somewhat, it being found desirable on account of the scarcity of wood fuel to grind a portion of the cane intended for Florida at a neighboring factory operated under the same auspices." The January 20, 1912 edition of the same magazine reports: " Central Aguirre in the South, which bought out the Central Florida a couple of years ago and has been continuing to run the factory, will try this year to grind the whole crop at the former factory and will probably endeavor to sell off the machinery of the latter, which is in pretty good shape, while not just up to date." Based on these reports, it is evident that Florida did operate while under the ownership of Central Aguirre . 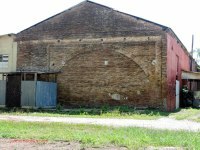 Remains include the processing building (first picture) and the owner's residence. It's land is currently being used to grow produce.